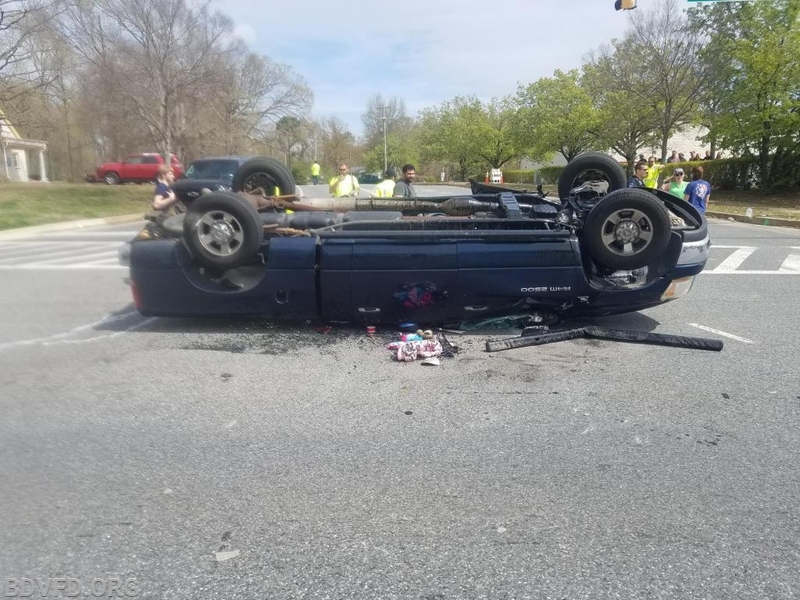 On 4/12/19 stations 9, 3, and 7 were alerted to a serious MVA with entrapment on one on fire. As units were responding communications advised police were on the scene, no fire or entrapment but multiple children were injured. 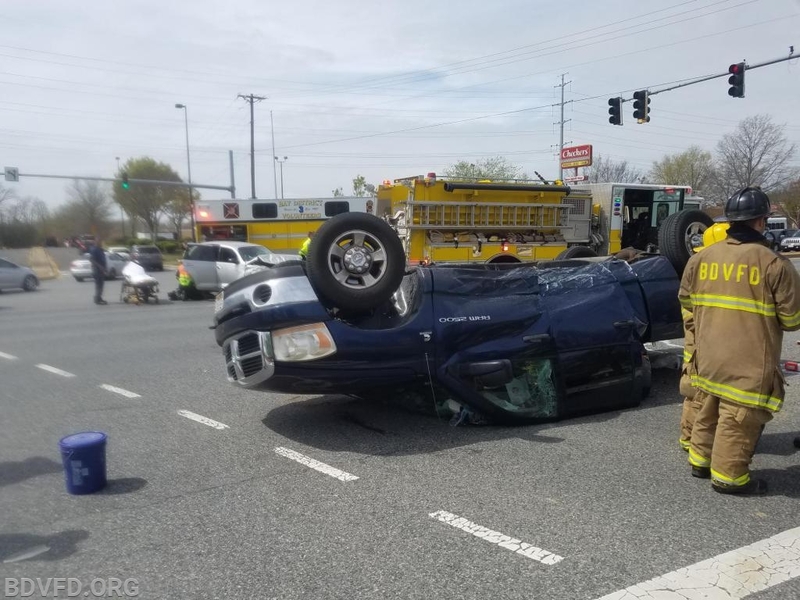 Chief 9B arrived on the scene to find at least 2 vehicles involved with on overturned on its roof. 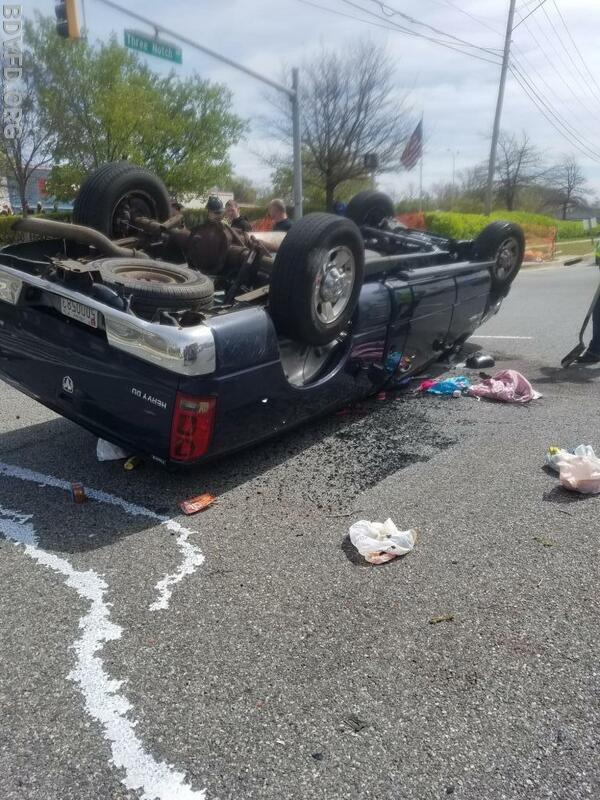 After assessing the scene it was confirmed all occupants were out of the overturned vehicle and Squad 7 was placed in service. E-91 and RS-3 assisted with patient car and mitigating hazards on the scene. 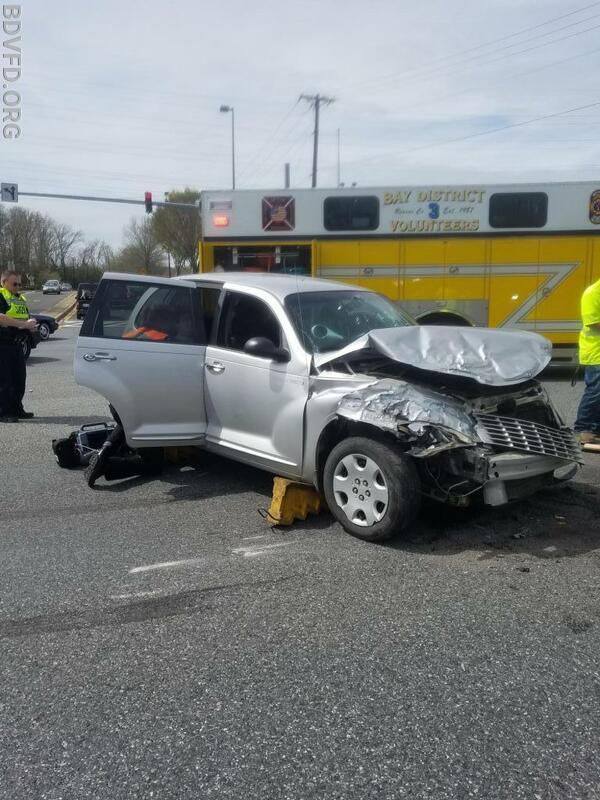 A total of 3 adults and 3 were transported to Medstar St. Marys hospital with minor injuries.